If you’re looking for a quality urgent care that’s both clean and convenient after hours, look no further. Just put your zip-code into this convenient office finder and get the hours of operation, addresses and phone numbers of a FastMed Urgent Care nearby. If you need medical attention after hours, you may not know what your options are. Unless you’re experiencing a medical emergency, sitting for hours in the ER and paying possibly thousands of dollars doesn’t make much sense. And it can be tough to get an appointment with your regular health care provider the same day, let alone after five o’clock. The solution is an after hours clinic. FastMed is your trusted neighborhood after hours clinic. We feature extended hours on weekdays, and are open all year long, including weekends and all holidays. We’ll make sure you get the care you need when you need it – and for a price you can afford. After regular business hours, you can receive all the same affordable, quality medical care at FastMed’s after hours clinic as you can during the day. We provide quick diagnosis and treatment options for a wide variety of non-life-threatening injuries, illnesses, and other medical concerns. From a broken bone to a nagging cough, our experienced team of medical professionals is here for you. At our clinics, you never need an appointment. We’ll provide you with the care you need the same day. Our medical professionals have a goal to get you in and out in just an hour. And to make your wait time in the clinic even shorter, take advantage of our online ZipPass program, which allows you to check in online and wait in the comfort of your own home until a medical professional is available. At the FastMed after hours clinic, we want to make your experience as stress-free as possible. 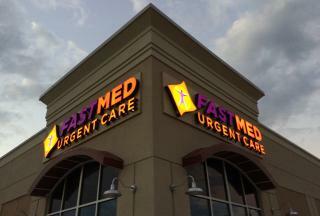 To learn more about the medical services we provide and the benefits of choosing FastMed Urgent Care, be sure to check out our FAQs page.